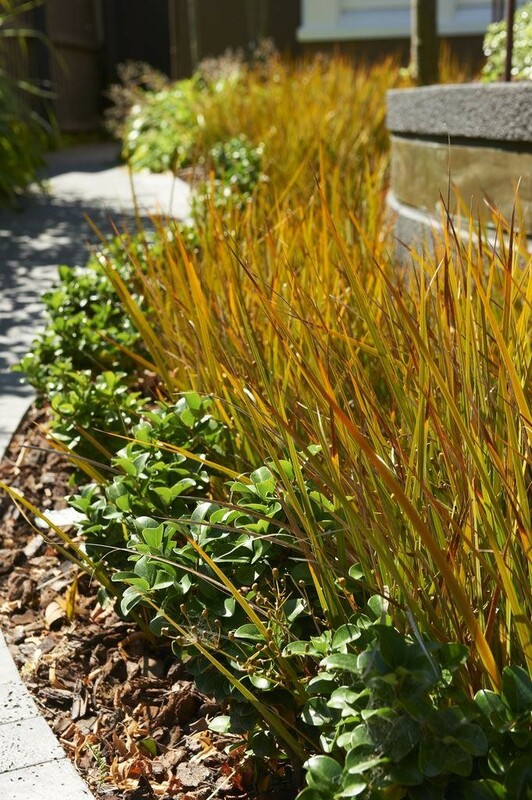 Finely textured grass, with glossy leaves that begin life olive green & age to a distinct orange-red as they mature. The elegant, arching, mounding form, 30" tall & wide, makes it a beautiful accent. Ideal for spilling over rocks, massing in borders & stunning in an elevated container. Carex testacea prefers soil that is not too dry and but well drained. For best colour grow in full sun. Supplied in approx 2 litre containers.